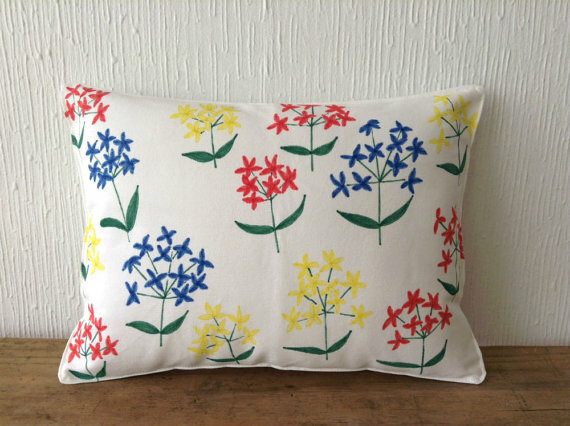 I stumbled across these delightful hand-painted pillows on Etsy from shop MerryMery based in Santiago, Chile. Don't you love that? That you can score Chilean pillows with a couple of mouse clicks? I do. 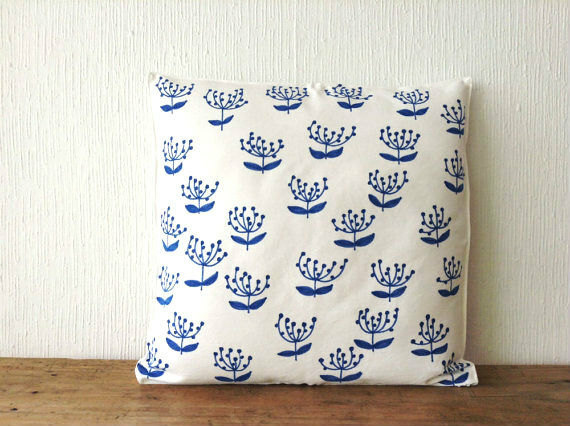 These would be darling on a white slipcovered couch in a lake or river cottage....or just on your bed. Something about the simplicity of the florals in primary colors against white just really grabbed my attention. The shop is full of totally gorgeous canvas bags that appear to be the main focus but you can find these pillows here and here. I am off to see the shop...these are darling! Thank you so much for featuring my pillows, Daniela! And your blog is jus amazing!